Opportunity and position information: Modern, successful, growing, busy auto repair shop seeks top-notch Master Technician to join a great team! • Work hard, have fun and play well in the company sandbox! • Have a valid driver's license, complete set of master tech tools, and a GREAT attitude! • Offer an excellent pay, paid uniforms, plus many other extras! • BBB accredited shop, with a strong commitment to great customer service and community care! • Have a very modern, clean, well-ventilated, well-lit shop, which is stocked with the latest tools and toys, at your disposal - we give you everything you need to succeed -- including re-flash tools! 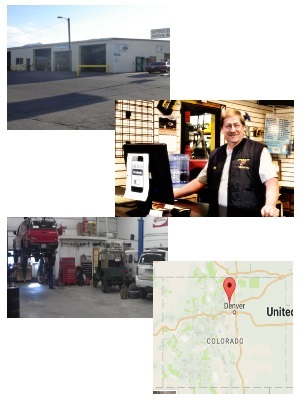 • Have one goal: to be the best auto repair shop in the Boulder area! Can you help us get there? Then please send your resume and cover letter ASAP, I look forward to speaking with you!